Jessica Fealy is a qualified Chartered Accountant, farm wife at Blue Sky Produce, mum of four and business owner at Back Paddock Business. Jessica is a volunteer driving team member for community organisation Startup Tablelands – focused on empowering rural startups. Jess organises and facilitates the group’s social media workshops on the Atherton Tablelands and administers its social media handles along with those of her farm and several local community groups. Jessica is passionate about the value of small business in rural communities and the absolute benefits that can be realised in business when profit and purpose combine. Her work is driven by the belief that social media is important in any industry – be it farming, photography or selling a product into an export market – social media provides a worldwide presence and the chance to connect to valuable networks and markets. In her role as a volunteer, Jessica is integral to delivering programs in Far North Queensland that instil an entrepreneurial mindset and digital skill set and that offer opportunities. She creates and delivers programs using social media to enhance business, community groups and charity outcomes in the local area. Jessica also blogs regularly and produces relevant content across a number of digital platforms. 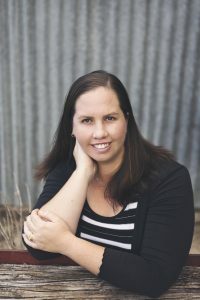 In her spare time, Jessica volunteers as Blogger Team Director for ‘Country to Canberra’ which is a youth-led non-profit group that empowers young rural women to reach their leadership potential. In 2016, Jessica has been recognised for her work and was announced as an Advance Queensland ‘Community Digital Champion’, helping Queensland to thrive in the global digital economy.